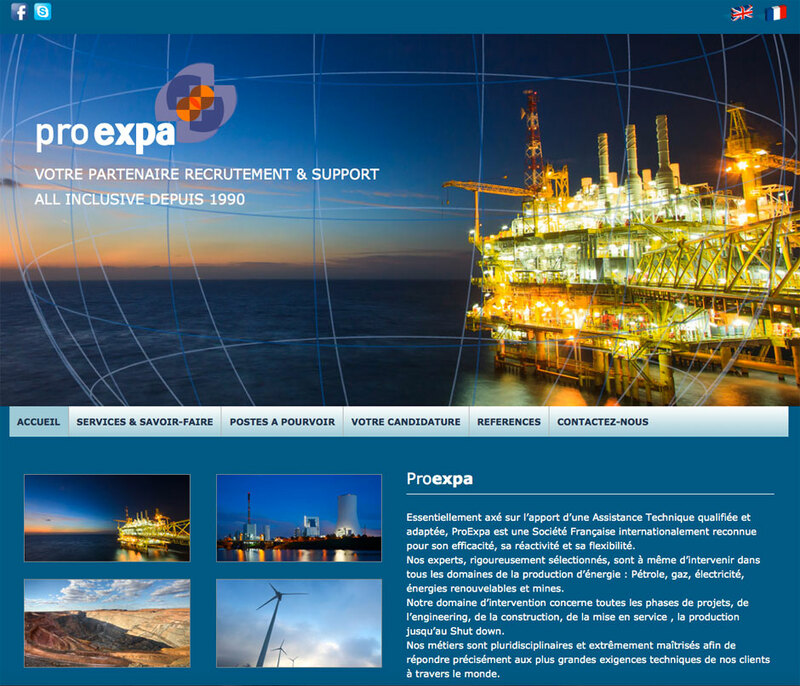 With over 20 years’ experience in the field, ProExpa is a French company specialised in providing highly qualified experts and engineers to some of the most respected companies worldwide in the Oil & Gas and allied industries. We provide contract, project and permanent manpower and expertise to oil and gas projects and clients throughout the world. Their services also expand to other industries such as mining, energy, metallurgy and steelwork. Proexpa already had an existing website that was starting to look a bit dated. The brief was to create a modern and dynamic website that would showcase the company and provide visitors to the site with a fluid experience. The site needed to be in English and French and it was essential that the site be simplified, easy to navigate and easy to use, as its potential visitors can be from anywhere in the world. It was also a requirement that the website be accessible on any device. As visitors to the site may not have French or English as their first language, we created the pages with sufficient content to explain the purpose of the site, but not so much as to confuse them. We then created a dynamic banner that appeared on all the pages. We also created a larger than usual footer section to highlight some of the major projects that the company has been involved in and to provide the contact details of the companies various international offices. To dynamically list the available job vacancies, we created a link to an external database where the job profiles are updated. 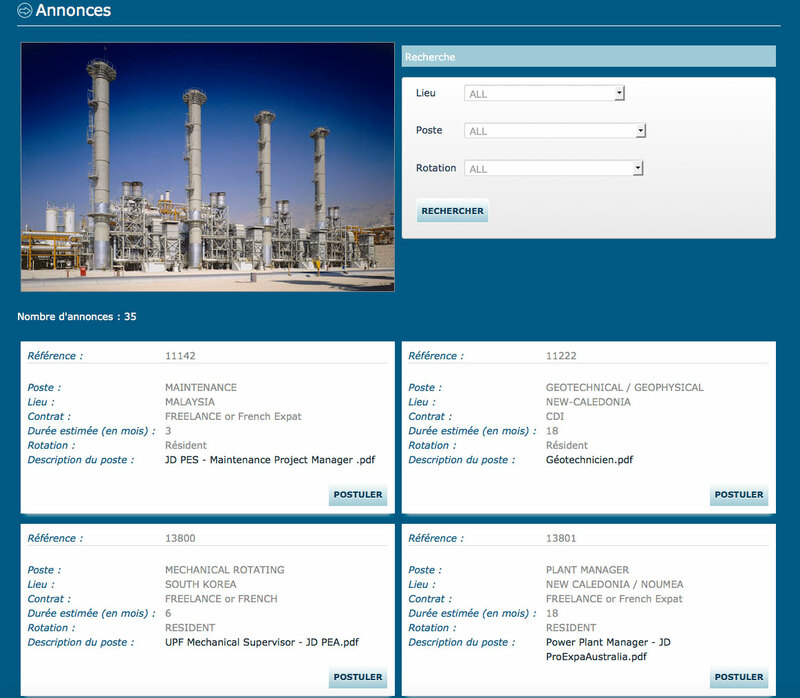 Each new job profile is dynamically added to the site and then removed once the post is filled. A requirement was that job applicants be able to submit their details online, including uploading their CV’s and other documents. As a number of fields were required on the application, we decided to split the form into multiple pages, each one holding a specific number of fields. We felt that this would not overwhelm the applicants and make the process of submitting their details as easy as possible. We also added some custom coding so that applicants could submit their details to be held on file, or apply for a specific post that was available. Once the applicants submitted their details, they receive a custom made email explaining what would happen next and listing the details that they submitted. An additional email then gets sent to the Proexpa head office, detailing their application. 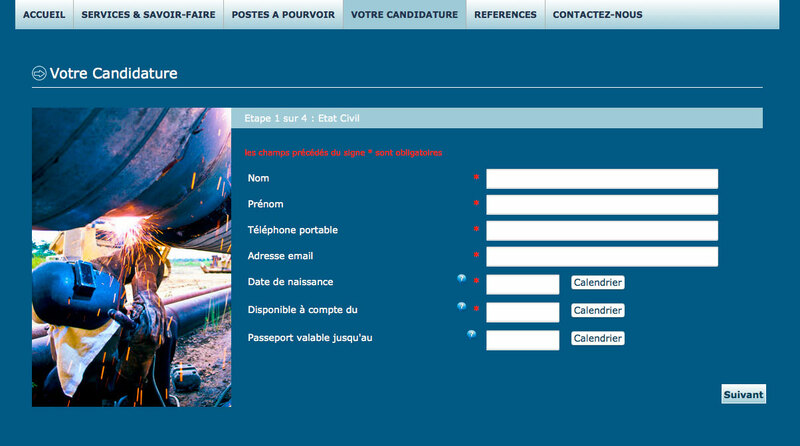 A copy of the applicants details are also held in the database and Proexpa has the possibility to read, forward, archive and delete the profile in the the administration panel of the website. We also added a contact form so that visitors could submit general enquiries and for these to be forwarded to the appropriate international offices. 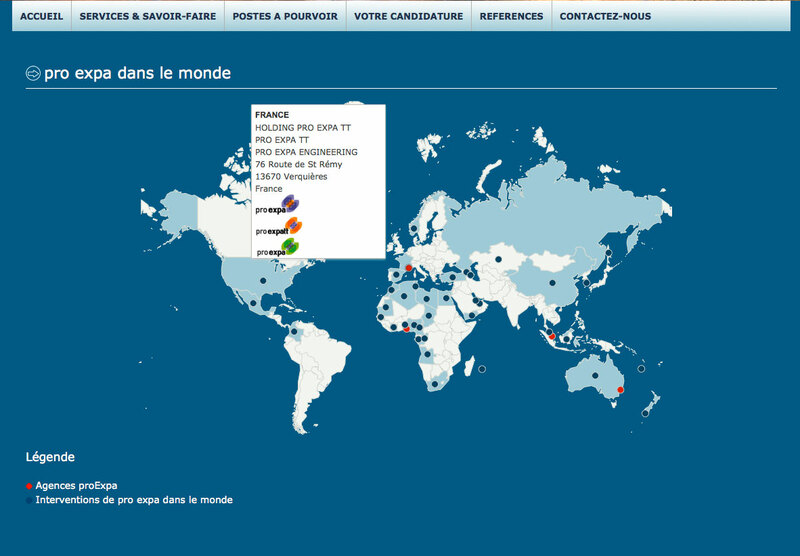 An additional page that we created was one that showed an interactive map of the world showing the location of the Proexpa offices and major projects that the company has been involved in.